1. What's different between DVB-T2H from VCAN0894? 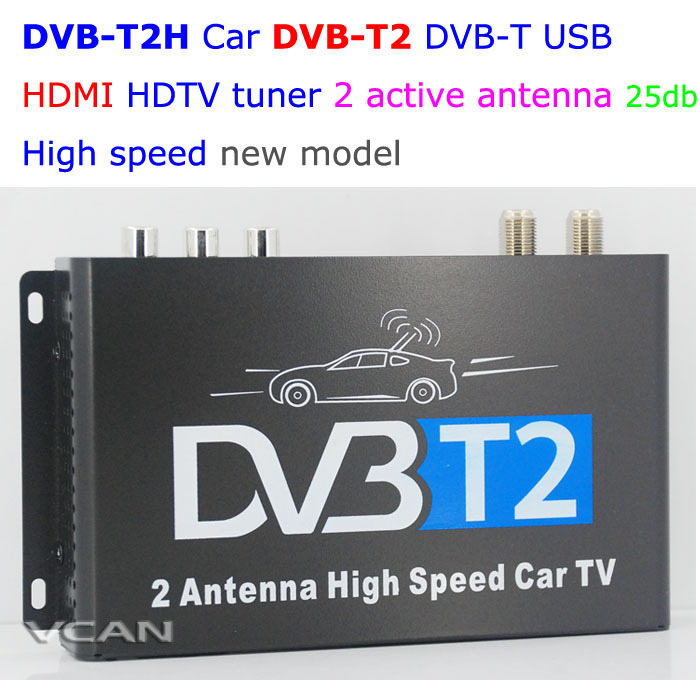 DVB-T2H and VCAN0894 both two antenna input, but DVB-T2H is new design and improve the support speed. 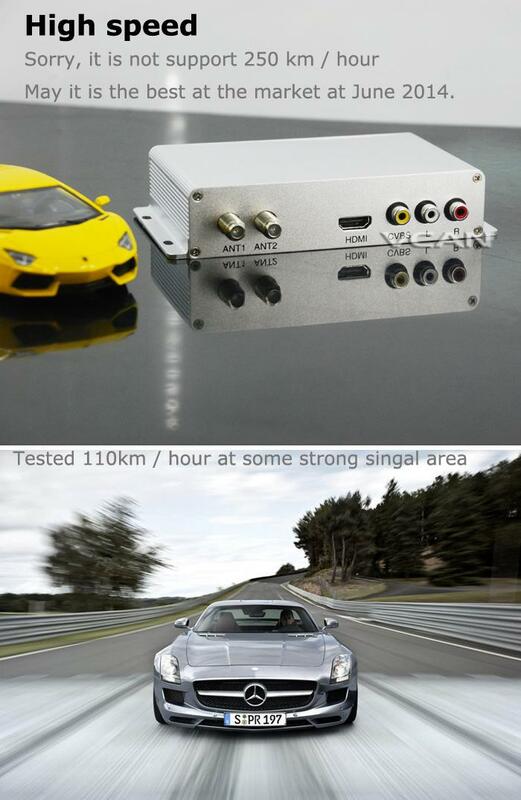 DVB-T2H has tested and placed repeart order by VCAN customer from Thailand, Russia and Colombia. 2. How about the antenna for DVB-T2H? 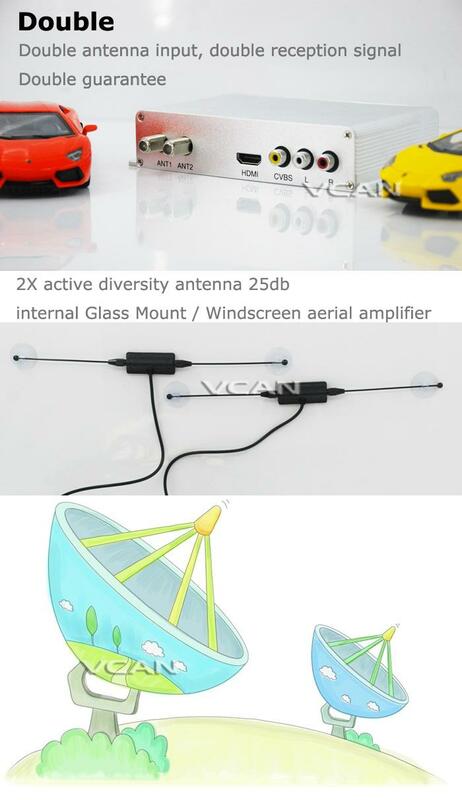 DVB-T2H antenna is two set, Car Windshield / glass Mount, built-in 25db active amplifier for singal enlarger, the power is 5V from TV box. 3. Why video out to my panel is black/white only? How to set or switch PAL / NTSC ? Please set the video out at OSD like below. Very easy to install, no external power cable, Please sure that antenna power is on at tuner OSD setting if reception is not good. 3. DVB-T2H work at my country? 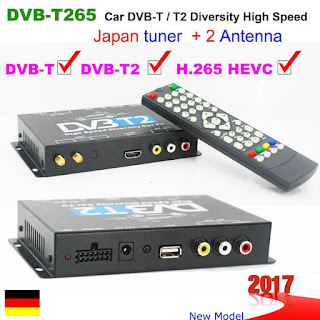 DVB-T2H can get DVB-T2 and DVB-T both TV program. Some countries are adopted DVB-T, some countries will upgrade DVB-T to DVB-T2. Please check which country is adopted DVB-T.
4. 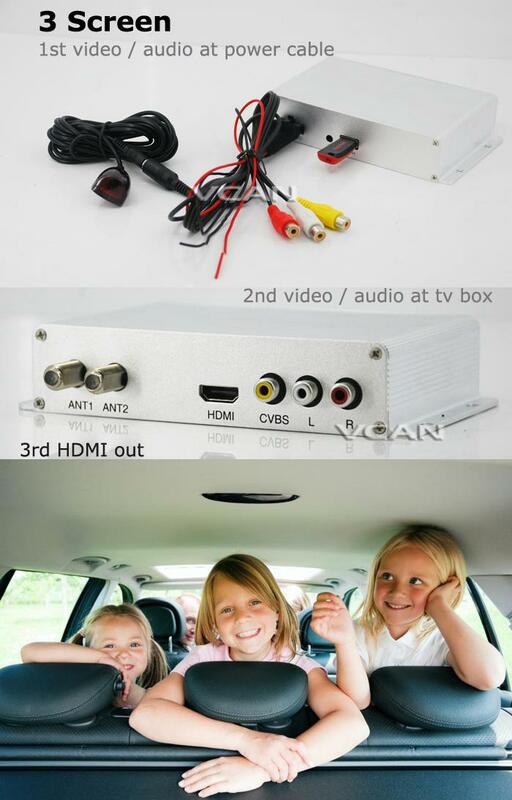 Can you add HDMI input at this TV box for share phone or pad screen to car monitor? VCAN: Yes, We can add HDMI input at this TV box. 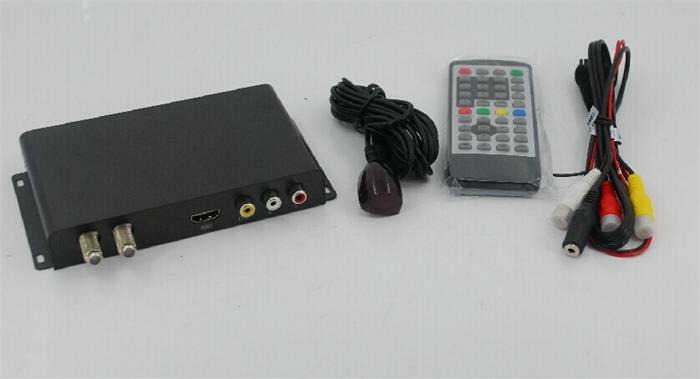 (USD2/pc extra cost) then DVB-T2H has HDMI input, HDMI output, AUX AV input, AUX AV output.